Google Developer Days are interactive conferences, providing the latest updates on Google technologies and open platforms for developers and industry leaders. Google Developer Days 2017 will be held throughout year at various cities in India. They are excited to share their thoughts on innovative technologies and encourage developers to build the next big mobile, web, cloud or machine learning solutions. The first session was on Google Cloud Platform by Romin Irani(Google Developer Expert — Cloud Platform) He started with telling key updates from Google Cloud Next 2017 Event. Here is the link of the shared presentation. Next session was by Rohit Gupta(Solution Engineer — Google Cloud Platform) on Big Data. This was the very interactive session. He told us why Google is data oriented company through his own example. Also he also told us that the “Hadoop” most trending thing in Data Science was derived from the “MapReduce” research that was done by Google. Next session was on Firebase overview by Manoranjan Padhy(Community Manager — Google Developer Relations, India). He showed us how to get started with Firebase and how to use the API to store the data. He also showed the example of the Chat Application on Firebase. Then an another session by Manoranjan Padhy on Tenserflow. He tell us the things how to start Machine Learning with tenserflow. Tenserflow requires maths as an prerequisite. 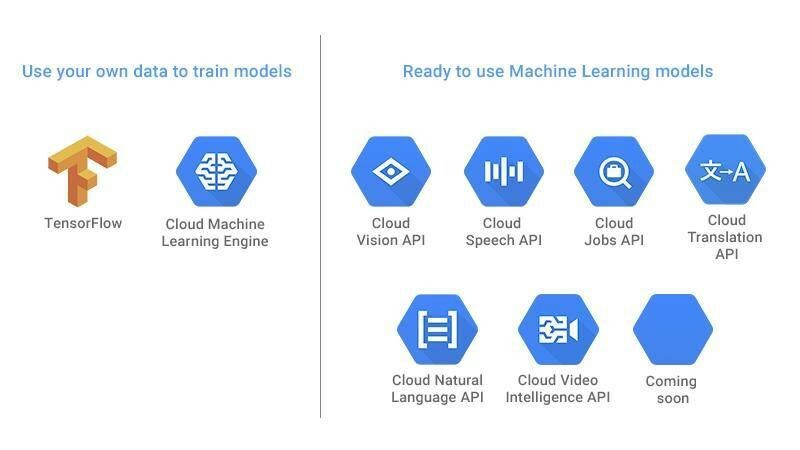 If you want to use already created Machine Learning models then you can use Google Cloud Machine Learning and if you want to build your own Machine Learning model then use tenserflow. Next session was again on Firebase by Manoranjan Padhy(Community Manager — Google Developer Relations, India) This session was more on server less development which doesn’t means there are no servers but it means we don’t have to manage them. Next session was by Rohit Gupta(Solution Engineer — Google Cloud Platform) on GCP Deveoper and Management tools. He tell us why we never see “We are on maintenance” like messages on Google products. The difference between 99.99% and 99.999% up-time. Google Storage is 99.999999999999% reliable which means their is very low chances of losing your files if you save it in Google storage like drive, Google Photos. so this session was quite Interesting. He tell us about various new tools that Google internally use in their products. Google also learns from other technology companies. And recently they learnt from Netflix a new way to deploy the updates that are more reliable and very less chances of failure. At the last the event ended with the open house discussion with the Google Firebase team and Networking with GDG Ahmadabad team and Speakers.